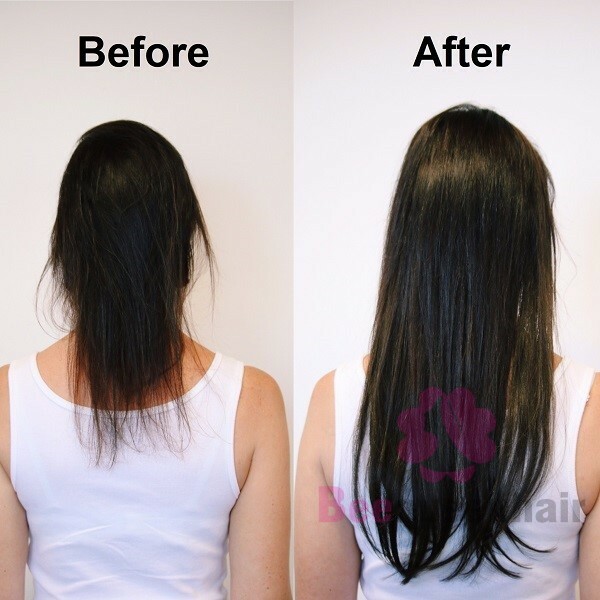 If you have to suffer from a bad haircut or any hair problems which lead to your current short hair, you may be looking for some hairstyles with hair extensions that can bring back your image with long hair. When applying hair extensions to your short hair, it is necessary for you to make much effort so as to make the hair extensions blend well with your natural short hair. To reach that goal, some tips and tricks are needed. This post is written to introduce to you some hairstyles that can facilitate the blend between real hair and hair extensions. 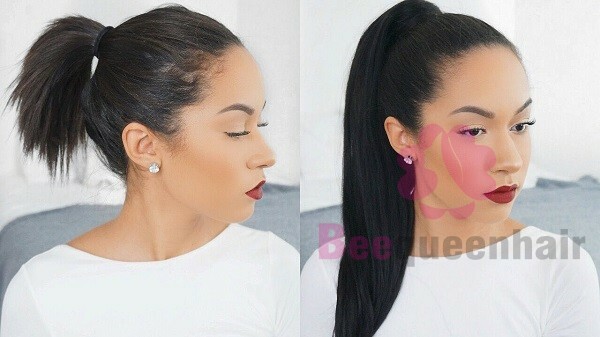 Whether you wear your hair up or down, you can make use of some tips and tricks above to get a perfect look with the following hairstyles with extensions. There is always room for transformation when it comes to a ponytail. 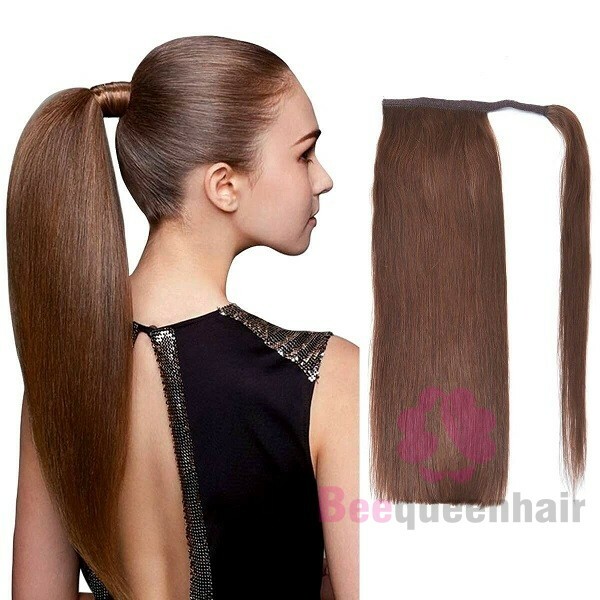 In fact, for girls with short hair, there are two choices when thinking of applying hair extensions to get a ponytail. 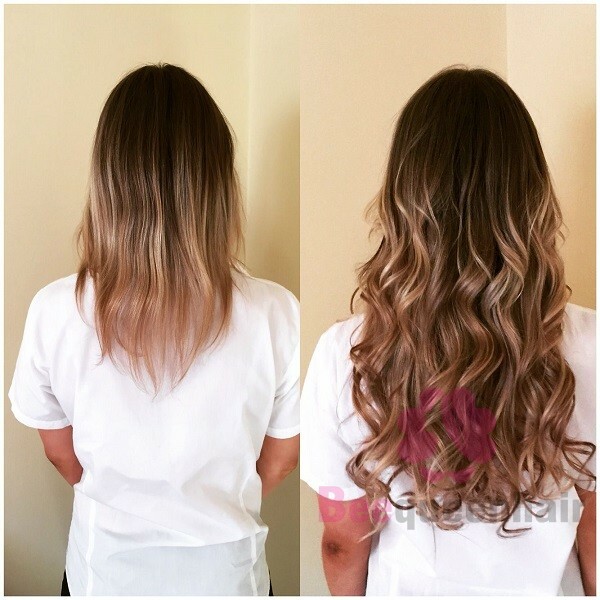 In term of the first choice, you first have to pick up one method of applying hair extensions such as tape-in hair extensions, clip-in hair extensions and fusion hair extensions. After the hair extensions are attached directly to your real hair, you just need to tie all your hair up into a ponytail. On the other hand, the other choice is that they purchase a ponytail extension then wrap it around the base of your real ponytail. Ariana Grande is the most typical example of celebrities who look glamorously with ponytail hair extensions. What about wearing your hair down? In case of a bad haircut, there is no need to miss your long hair because hair extensions are always available. You can also add length to your short hair by using wavy hair extensions. Wavy hair extensions are always one of the hottest hairstyles. They can give the wearers an elegant and charming look. However, you are recommended to choose hair extensions which match the color of your natural hair. In so doing, no one is able to feel your hair extensions. Apart from wavy hairstyle, you can also think about straight hairstyle if you want to wear your hair down. It will be much easier to blend if your short hair is cut into layers. The fact is that textured layers will enhance the density of hair from top to bottom of your head so that you will be given a more natural look. For this reason, please keep this tip in your mind when you intend to wear hair extensions. In addition, compared to a thin set of hair extensions, a thick set is more preferable because it will give you more coverage. Don’t be afraid of short hair. You just need to consider the suitable length as well as the type of hair extensions you want to apply then a glamorous look will be right at your fingertips.